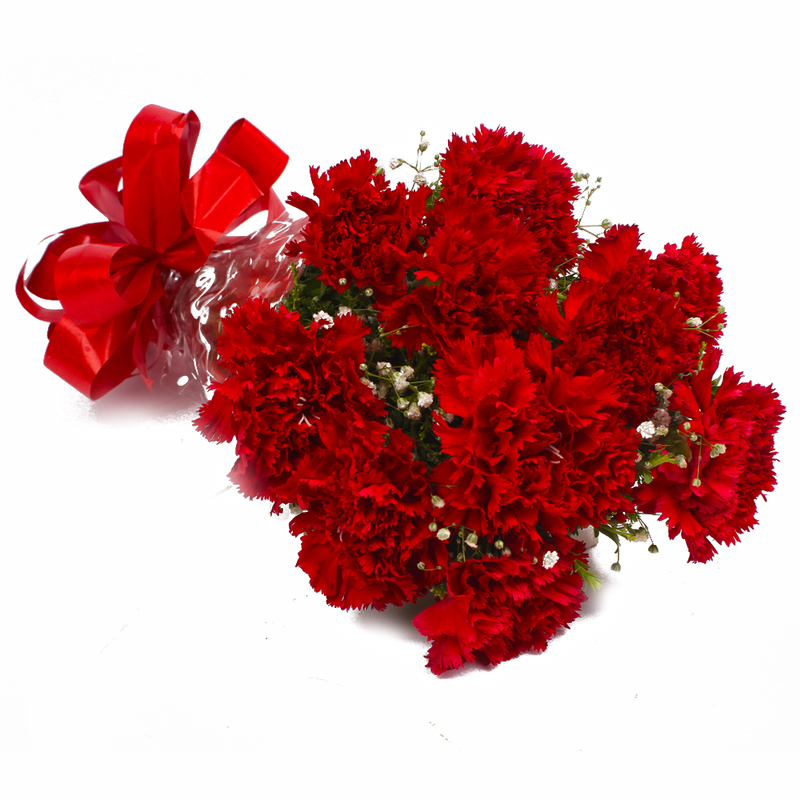 Product Consist : 10 Red Color Carnations with green fillers in Cellophane Wrapping with Ribbon Bow on it. 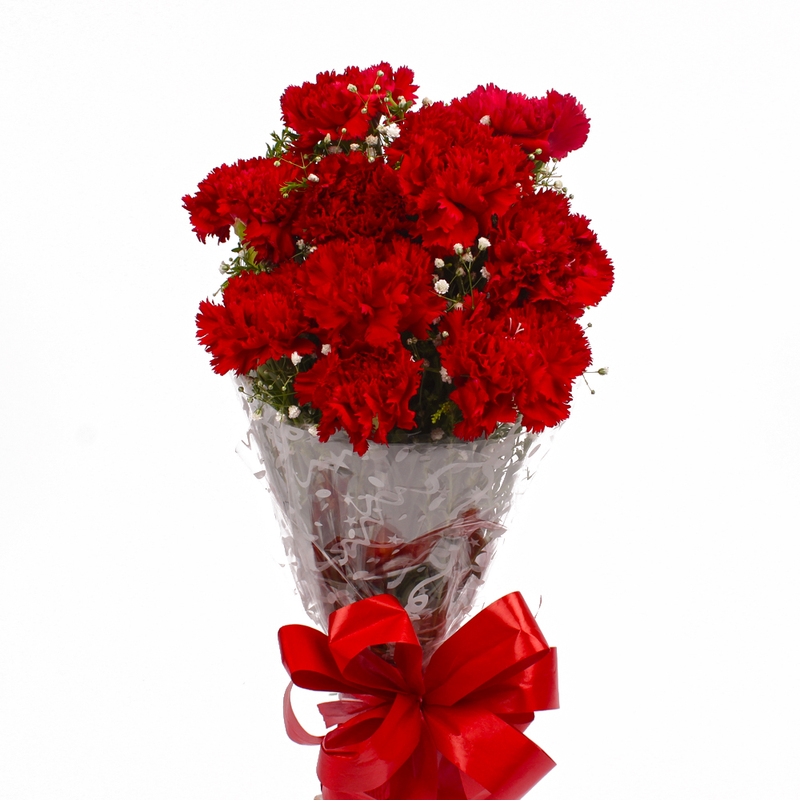 This bunch contains no less than ten stem red carnations of that promise to delight any recipient in seconds. 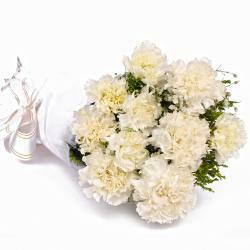 This bunch also comes with top notch cellophane packing while the matching ribbon bow enhances the effect created by this bunch on your loved ones. 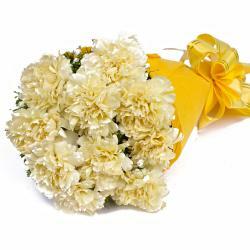 This can be used as the perfect gifting solution for special occasions like Diwali, Valentines Day, Birthday, Anniversary, Diwali, Onam, Parents Day, Boss Day and even as wedding presents should you feel like it. 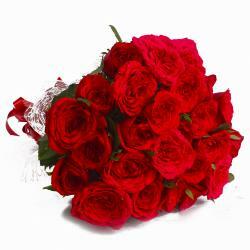 You should definitely check out this amazing gift pack today. 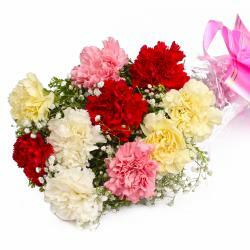 Product contains : 10 Red Color Carnations with green fillers in Cellophane Wrapping with Ribbon Bow on it.